The thing about kids is they’re not kids for long. It’s like you can blink and miss it, one day they’re climbing trees and playing hopscotch- the next, passing their driving test and leaving for college. As parents we want to hold on to their childhood as much as we can and forever wish we could keep them small, it’s such a special time in life it makes sense to make the absolute most of it. Of course, you can make memories together every day, doing activities, family movie night walks in the woods and so much more- you don’t even have to spend much to make it fun and enjoyable. But if you want to really set something up to make incredible memories that will last a lifetime, and provide a whole lot of fun to everyone in the family one way to go about this is by going on a fantastic family vacation. The trip of a lifetime is something your kids will look back on in years to come and is a nice way to get everyone together. If this is something you plan on doing, here are a few things to take into consideration. Your first decision will be working out where you where you want to go. Keep in mind things such as flight lengths, especially if you’re traveling with younger kids. You might want to go somewhere where they won’t be stuck on a plane for many hours. You will need to find a safe, family friendly destination where kids are welcome, and there’s plenty to do for all ages. The weather is another consideration, find out the temperature for the destination at the time of year you want to travel. 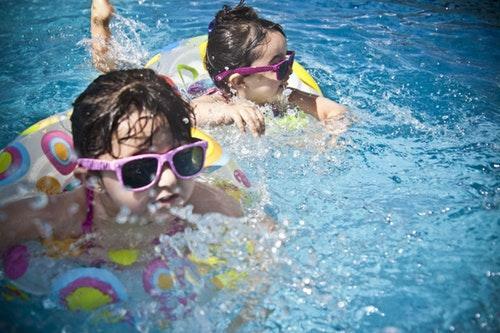 Very hot and very cold locations might not be the ideal choice for kids. Disney World is considered a once in a lifetime incredible family destination, you have the choice between Paris, Orlando, Hong Kong, China, California and Hawaii for Disney parks and resorts. Plenty of variety there, with other things to do aside from parks and different weather conditions. Once you’ve decided on your location, you will need to start booking various activities and attractions in the area. This is what’s likely to take the biggest part of your budget, but what will really bring the trip to life. Since many popular tourist attractions can’t be booked on the day, make sure you’re getting tickets in advance to avoid disappointment. From theme parks to waterparks, visiting monuments, natural wonders and so much more. Do plenty of research as to what’s in the area, from restaurants, cafes and places to eat and things to do so you can arrange your trip. Even if it’s not planned to the finest detail, knowing these things allows you to make the very best of your time. You already know what kinds of things are going to appeal to you most so can go to them instead of wasting time searching or ending up at places that aren’t quite right. To keep costs down, be sure to work in a few free or cheap activities too. Many museums are free to visit, and hiring bikes in the park wouldn’t cost much. You could take a picnic and make an afternoon of it, getting some gentle exercise and seeing the sites. A day around the pool or at the beach again would cost next to nothing and would give you time to relax from the more adventurous or strenuous days. If you know your kids are getting older and want to do something like this while they’re still young, how about taking out a loan? In general, taking out a loan for a holiday could be considered as ‘living above your means’ and not a good idea. However, there are exceptions. If this is a special family holiday, and something you can borrow for and comfortably pay back then a loan is a good option. There are even options for borrowing with bad credit, and so don’t rule it out if you have a less than perfect past with money. When you’re taking out a loan, just be sure to take repayments and into consideration and be absolutely sure these can be worked into your budget. If little legs will struggle to get around easily, you might want to look into the different transport options available or consider hiring a car. In some places, car hire won’t be an option, if it’s a busy city, for example, you’re much better off sticking to public transport to get around. But if you’re a little further out or are planning on visiting attractions that are away from your hotel or resort then this could be an option. It’s easy, convenient and quick to get around, kids won’t get bored sitting around, and you don’t have the stress of having to find train or bus stations. If you do need to use these ways to get around, check if there are timetables on an app, or jot down times and locations. It’s planning these kinds of details which can make your vacation run so much more smoothly. A big family vacation like this can be pricey, but see it as an investment. This is time together while your kids are small that you’re never going to get back. Providing it’s carefully planned, well thought out and budgeted for it can be so worth the cost for memories that will last forever. Have you ever been on an incredible family trip like this? 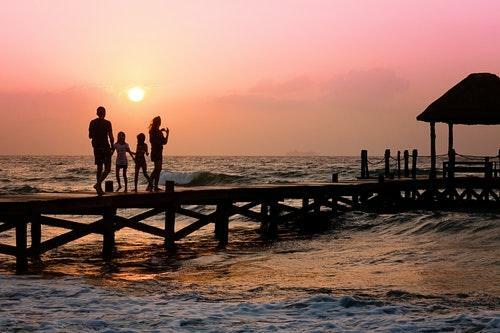 What destinations would you recommend for families in search of the perfect getaway?